sensorProbe8is a high-speed, accurate and intelligent monitoring device. 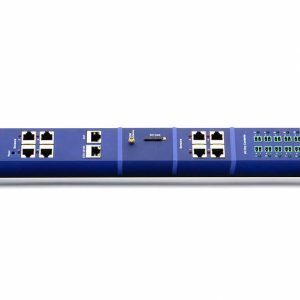 The sensorProbe8 is a completely embedded host with a proprietary Linux like Operating System which includes TCP/IP stack, a built-in web-server and full Email and SNMP functionality. The sensorProbe8 can record all events in its database with a time stamp of when the sensor alarm was raised and the action taken place. A standalone product with no external software dependencies, the sensorProbe8 gives you the very best for your monitoring needs. 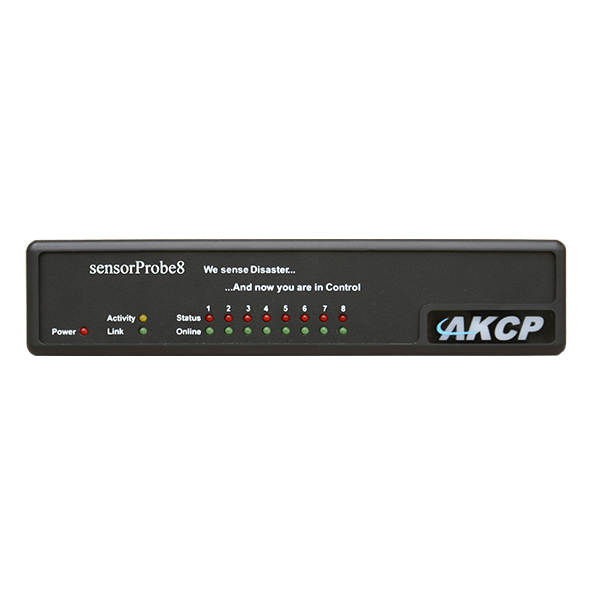 It has 8 auto-sense intelligent sensor ports which work with a wide range of AKCP intelligent sensors. It can use any combination of sensors to monitor temperature, humidity, water leakage, airflow, security and even control relays. 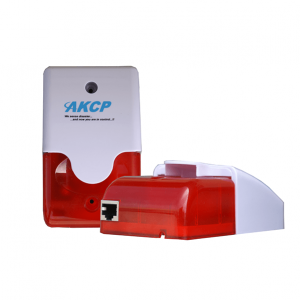 AKCP sensors can also be used to detect AC voltage and measure DC voltage. Sensors include an integrated data collection and graphing package to spot trends in the airflow, temperature and humidity. sensorProbe8 safeguards your infrastructure, resources and investment from external disaster before it happens. • Manufactured using highly integrated, low power surface mount technology.